How do I rename my Windows 10 PC? I just got a Windows 10 computer from my Dad. Nice, but I can’t stand the computer’s name. How can I rename the computer in Win10? It’s surprising how complex it can be with some operating systems to rename a computer, but that’s simply because the name shows up in a number of different places while the system’s running. The easiest place to see it is when you’re connecting to a network as it’s used to identify that particular computer. On a day to day basis, it could show up in the login process, but once you’re logged in, it’s fairly invisible for most apps and tasks. 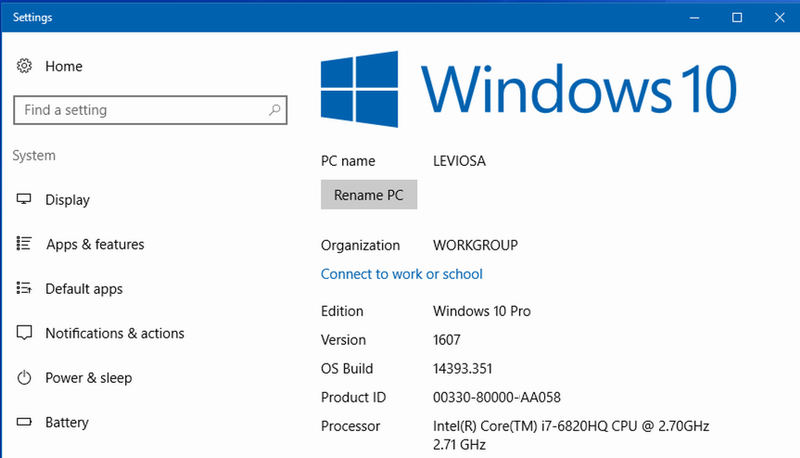 Just under the Windows 10 logo you can see that this particular computer has the Harry Potter-inspired name “LEVIOSA“. Below that is the button “Rename PC”. Click on the “Rename PC” button. Ah, okay, time to restart to make sure the new name “sets” and shows up everywhere in the operating system. If your otner program windows are properly shut down, click on “Restart now”, otherwise choose the “Restart later” option and shut everything down gracefully. You might want to mention that you must be signed in as an administrator to see the Change Name option in the Settings window. I also found that if I (as a standard user) entered “system” then chose “View advanced system options,” I had to confirm as an administrator and could then change the name from that screen, too. 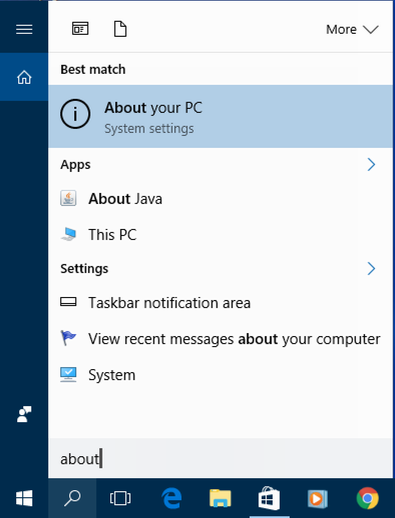 Once I rename my PC, will Microsoft and my other accounts still recognize this computer… or will I have to manually go to each subscribed site and change the computer’s name? You should be fine with sites that require your login credentials, S.E.